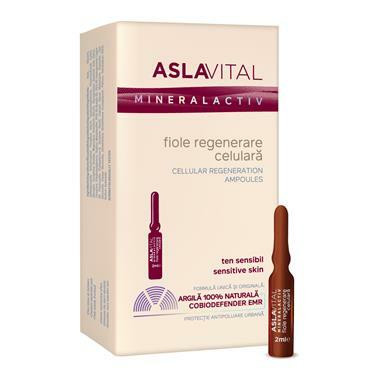 Revitalin® PF - Rich in amino acids and adenosine helps to accelerate surface cell renewal by up to 4 days, stimulates cellular oxygenation and resistance to UV stess. Sepitonic™ M3 - A cocktail of three minerals (Mg, Cu and Zn) with a triple action cell chrono-energizing anti-free radical agent. Aquaxyl™ - An “anti-dehydration shield” that optimizes the skin's hydrous flow and reinforces the synthesis of essential lipids and proteins involved in the organization of the corneus layer, making the skin better prepared to fight-off external aggression. Usage: Apply daily, in the morning, on a clean face, neck, décolletage and hands. INGREDIENTS: AQUA, GLYCERIN, XYLITYLGLUCOSIDE, ANHYDROXYLITOL, PENTYLENE GLYCOL, CYCLOPENTASILOXANE, PHENOXYETHANOL, XYLITOL, GLYCOGEN, TOCOPHERYL ACETATE, MAGNESIUM ALUMINUM SILICATE, GLYCOPROTEINS, GLUTAMIC ACID, VALINE, THREONINE, ETHYLHEXYLGLYCERIN, SODIUM METABISULFITE, PPG-26-BUTETH-26, PEG-40 HYDROGENATED CASTOR OIL, POLYACRYLATE CROSSPOLYMER-6, DECYLENE GLYCOL, CAPRYLYL GLYCOL, MAGNESIUM ASPARTATE, ZINC GLUCONATE, COPPER GLUCONATE, DIMETHICONE, DIMETHICONE CROSSPOLYMER, PARFUM, TETRASODIUM EDTA, SODIUM HYDROXIDE.